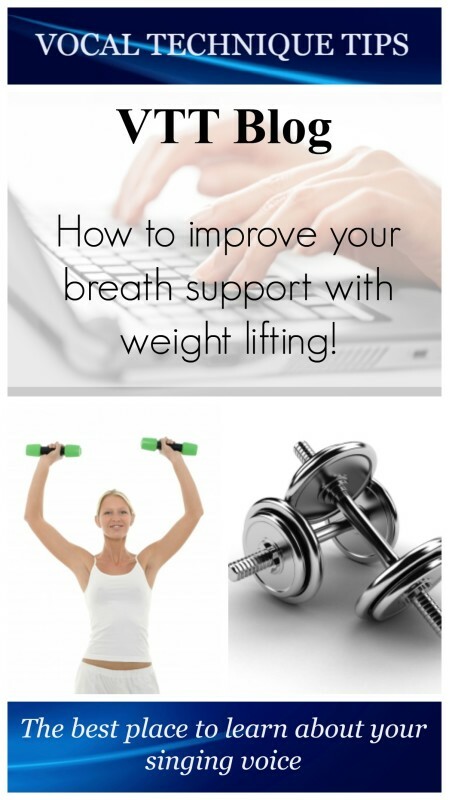 Breath support is something I’ve struggled with for years. I’m a light weighted person, having some medical issues. My body doesn’t always feel energized. Because of this I’ve had problems feeling my breath support working for me. A couple of months ago, I was having some difficulties again and I took my dumbbells and started pushing them above my head while singing. I felt my feet being pushed into the floor, I felt my back muscles starting to engage in the breath support and I felt my throat letting go of the tension that was there because of the lack of breath support. For me, singing with dumbbells is an excellent way of engaging my body in the process of singing. When I’m performing I sometimes imagine myself on stage with my dumbbells. My body reacts immediately! I use a 3 kg dumbbell in each hand, so 6 kg in total. Less than this will not work for me. There is no need to overdo it, just feel your body being activated and then try to feel the same without your bumbbells.